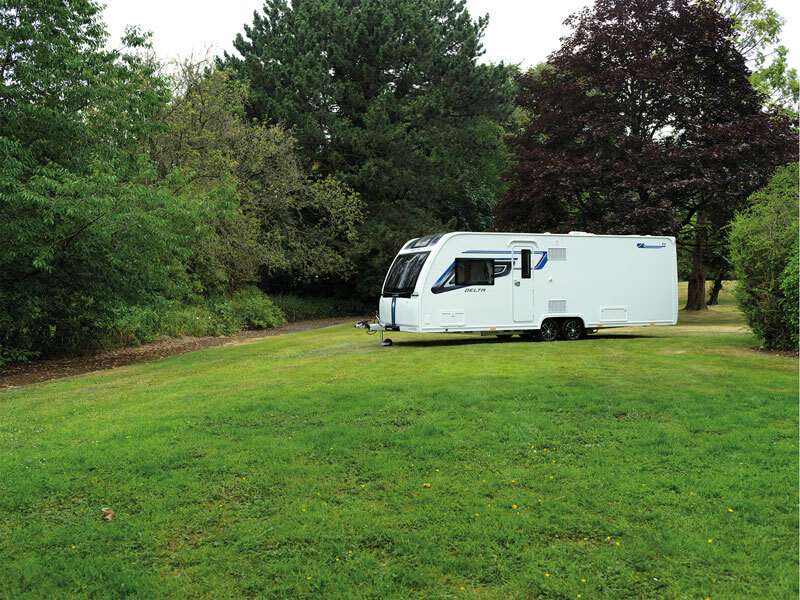 Caravans by Lunar always radiate style and a show close attention to detail, and the new 2019 Clubman/Delta range certainly proves no different. 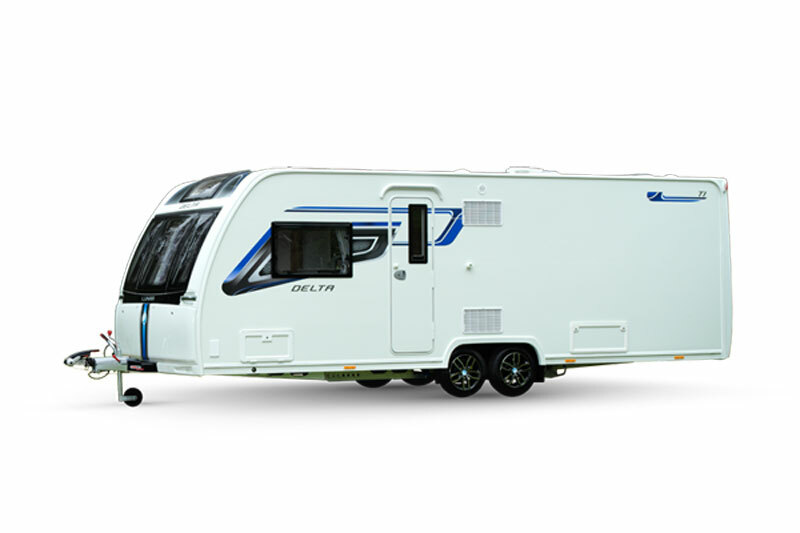 The fresh and modern touches including a new restyled gas locker, flowing lines, bright twist of colour of the new decals and the illuminated LED grab handles, give this model a very distinctive look on the road and on the campsite! 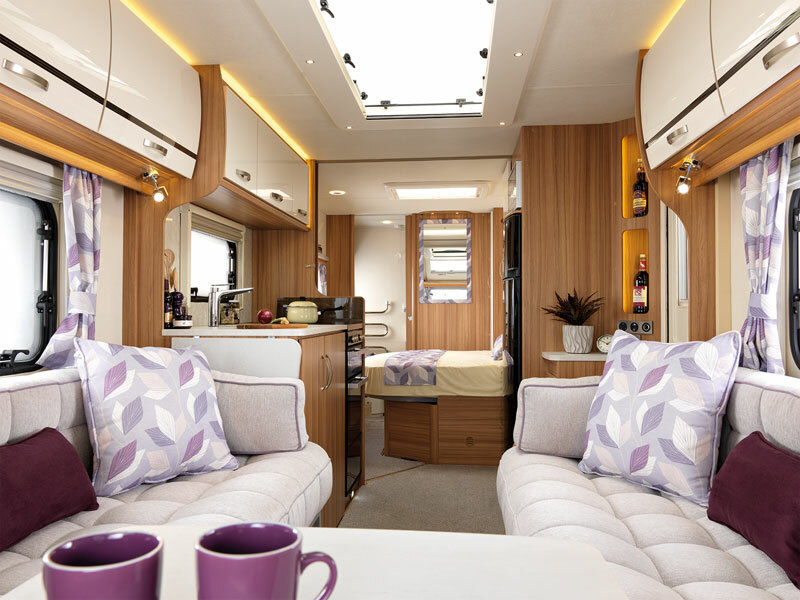 Step inside this top of the range caravan and be greeted by the new ‘Loano’ soft furnishings and new locker doors in ‘Ivory Gloss’ which ensure every inch of the spacious interior reflects luxury and comfort. 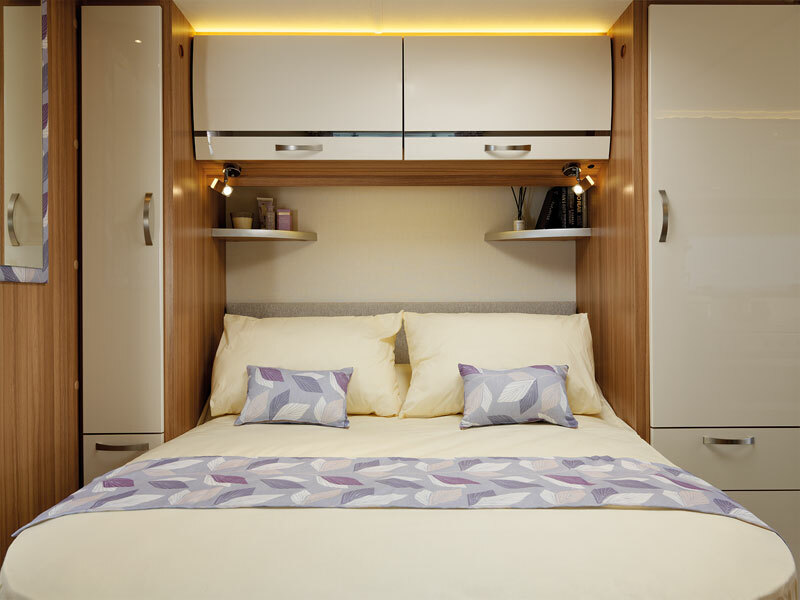 To create the perfect ambience, the lighting is dimmable around the lounge lockers, and helping you to relax, a DAB radio is installed, plus an optimised Alde central heating system, meaning more even heat distribution throughout the caravan. The well thought out kitchen in the Clubman/Delta range reflects a timeless design with intricate practical details like new positive locks on the locker doors and a chrome basket design with new securing mechanism, so you can travel safely. Also the kitchen boasts a new Thetford K series oven with 4 burner hob including electric hotplate. This season, the Clubman/Delta range has also been designed with the new Lunar Assist control panel which offers ultra-user-friendly functionality. You are easily able to control and programme the heating and water system, all at the touch of a button, plus you can have peace of mind with the pre-installed Thatcham Category 6 approved pro-active tracker system. If you are interested in learning more about the Delta TI, please fill in your details below and we'll get back to you with more information. Fields marekd with an asterisk (*) are required. Why not take a 360 degree tour around the 2019 Lunar Delta TI ? What do you think about the stunning 2019 Lunar Delta TI?